Home / seasons / Pumpkins and Pumpkin Bread and More! It is definitely pumpkin time with Halloween a little over a week away and pumpkin patches being touted as the place to get your pumpkin for carving. There are pumpkin things all over from Pumpkin Lager and also Pumpkin Lager Soap 🙂 There are Pumpkin Spice Lattes and Pumpkin Bread and Pies. Pumpkin Pancake Mix and the list goes on and on. One thing I will share is that I have read that there may be a shortage of canned pumpkin for pies! Oh heavens no! Sorry getting caught up in the moment. Libby’s produces about 80% of the US canned pumpkin had a crop shortage down about 50% this year from previous years due to the volume of rain that has fallen in Illinois this year. So you may want to stock up for this year now as opposed to later when the pumpkin pie crunch comes closer to Thanksgiving. I know I have hidden away several large cans myself for next month. 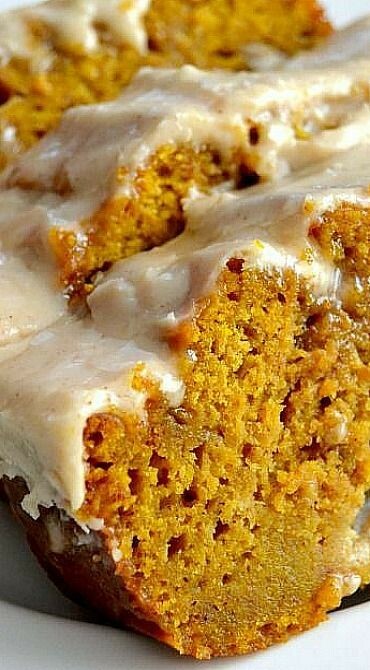 I wanted to share a great recipe for that Pumpkin Bread above as it has a luscious Pumpkin Butter Cream frosting and yes it is sugar crush and very sweet but OMG very very good! You can get the recipe here at Nancy Creative’s blog! I really wanted you drooling on your computer. 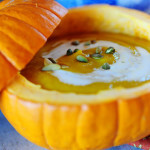 OK last but not least found a Pumpkin Soup recipe on The Pioneer Woman’s blog and wanted to share this one also. This is on my list to make for sure! Maple Syrup, Cream and Nutmeg- who could ask for more! 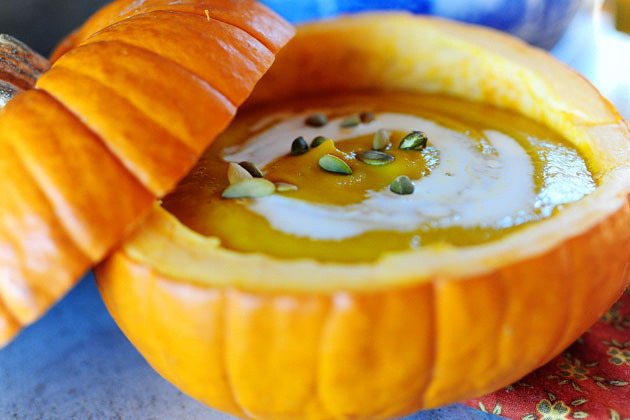 Check out the links above and let me know what you have tried and share some of your favorite ways to eat pumpkin below! I really want to try this one = sounds really yummy! I love pumpkin and the familiar spices that go with it. Thanks for sharing. Oh yes I absolutely love Cinnamon and Nutmeg- awesome stuff!